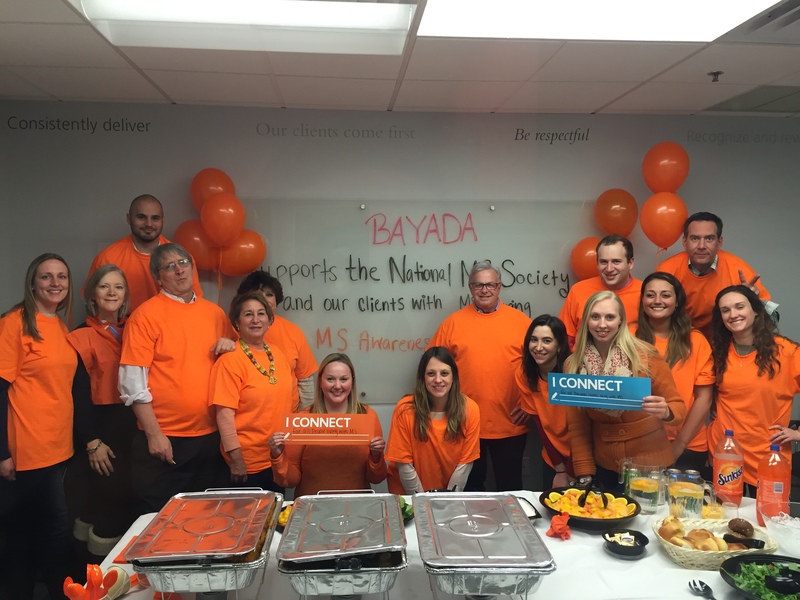 Photo: BAYADA’s Marketing and Government Affairs Offices show their support for MS Awareness by wearing orange. From left to right: Nicole Onofrio, Lee Dobson, Pete Cellini, Mike Fassino, Anita Weinberg, Louise Lindenmeier, Emma Straub, Tracy Sideris, Dave Totaro, Stephanie Finnel, Laura Ness, Adam Krushinskie Elizabeth Oberer, Angelo Terrana, and Katie Durkin. BAYADA Home Health Care is partnering with the National MS Society’s Greater Delaware Valley, New Jersey Metro, and Keystone (Western PA) Chapters. 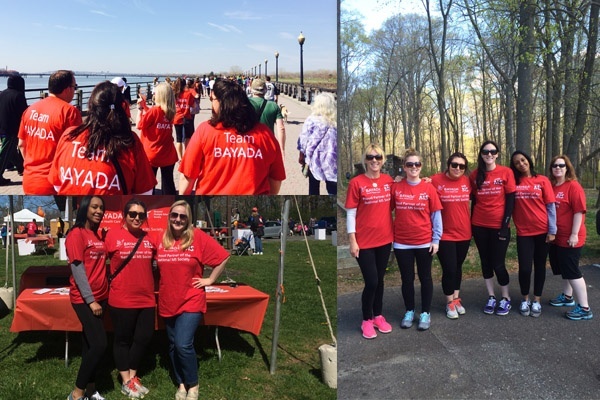 As a proud partner, BAYADA supports the MS Society’s mission to raise awareness about MS and to help improve the quality of life for people living with MS by providing quality home health care with comfort, independence, and dignity.